These foundational articles about fixed income address some of the topics that should be read by advisors and interested investors. What’s on your muni market risk radar? Here’s what we’re watching. Since we only provide a link to the most recent edition of The Muni Catchup, this archive provides an index to some of the special topics covered. The index begins with the 12/12/16 edition. Part 3: Bonds or Bond Funds; How About Bond ETFs? ; Interest Rate Risk; How Will ____ Affect My Bonds? If an investor needs more performance (yield or return), should he/she use a professional manager? Return measures, however, are backwards looking. If you are driving, you would not expect good results by looking only in the rearview mirror. A recent survey of asset managers revealed that 2/3’rds of them describe themselves as thought leaders. But what does that mean? 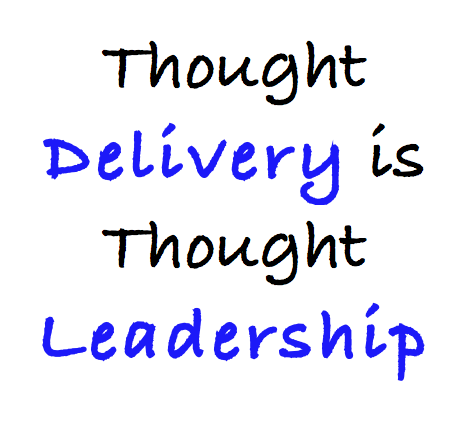 If everyone has thought leadership, does anyone have thought leadership? Is thought leadership really that important? If you are an investor, don’t you want to be working with a thought leader? If you are in the asset management business, don’t you want to be a thought leader? When it comes to fixed income investing, who is the thought leader? Can there be more than one thought leader? Is it even important? In the last decades, we have seen many examples of what I call “The Reverse Midas Effect.” That is, examples of turning gold into lead. For bond investors, there are not as many books to select from as there are for equity investors. The good news, though, is that there are a handful of books that have stood the test of time and are still worth reading. This is not comprehensive, but is provided for cases where I have felt the need to add clarity to relevant terms.